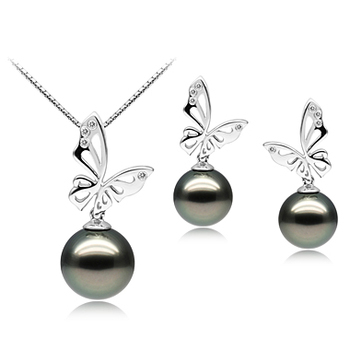 Combining the spring flowers and the gentle summer winds brings on the Butterfly Tahitian Black Pearl Necklace and Earrings Set. 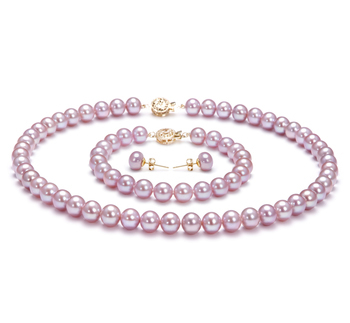 It is an amazing and remarkable set that pulls together almost anything you could pair it with. 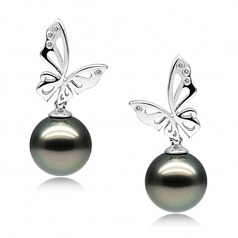 The large 10-12mm pearls swept away by the subtle and graceful 14K White gold Butterfly. 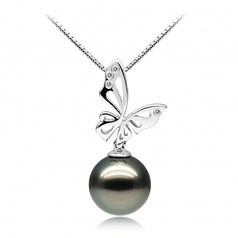 The diamond accents create a glistening glow along the wings of the butterfly as she flies along her glorious path. 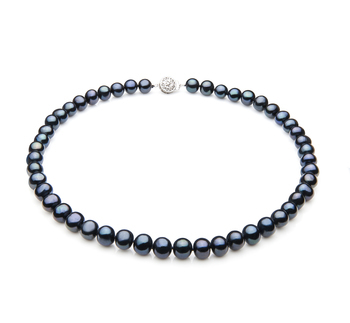 The Tahitian Black Pearls showcase the magnificent and elegance of the near perfectly round black pearl. 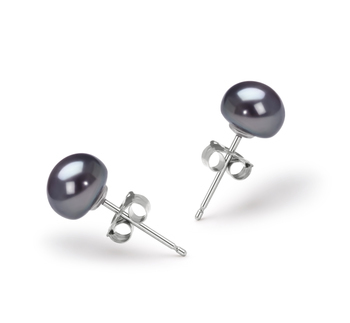 With the beauty and poise of the butterfly, the (AAAA) nacre and the (AAA) near perfect luster combine and spread a polished and dazzling shine throughout the surface of the Tahitian Black Pearl. At times, a blue, green or purple undertone may naturally grace the black pearl, it is a treat that one never knows as it presents it may be not present in all pearls. 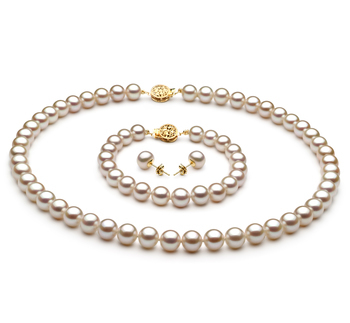 Combine this fine and marvelous necklace and earrings with your favorite casual, business or flowing formal wear, it has it soft features that can fit any occasion. 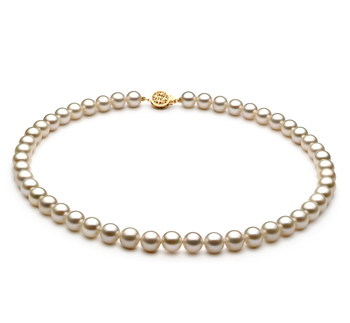 Wear it as a complete set or break it up and remake or wardrobe all over again. Show only for "Butterfly Set"